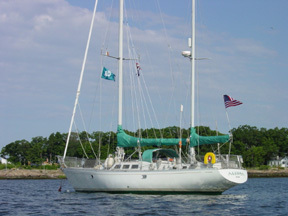 These prestigious awards are viewed by the sail-racing industry as among the nation’s top sailing distinctions. A slate of nominees, determined by the membership of US Sailing, is presented to a panel of accomplished sailing journalists, who together discuss the merits of each nominee and then vote to determine the ultimate winners. The winners will be honored on Thursday, March 2, 2016, during a luncheon at the New York Yacht Club in Manhattan, when they will be presented with specially-engraved Rolex timepieces. 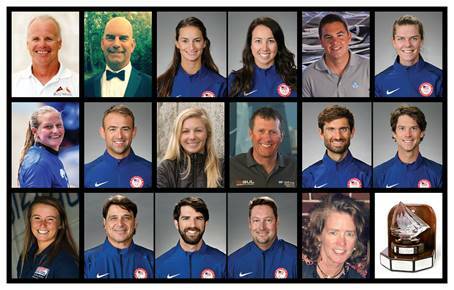 Nominees shortlisted for US Sailing’s 2016 Rolex Yachtsman of the Year award: Star World Champion Augie Diaz (Miami, Fla.); Paralympic Silver Medalists and Para Sailing World Champions Rick Doerr (Clifton, N.J.), Brad Kendell (Tampa, Fla.) and Hugh Freund (South Freeport, Maine); Rolex Farr 40, Maxi 72 and TP52 World Champion Terry Hutchinson (Annapolis, Md. ); Melges 20 and J/70 World Champion John Kostecki (San Anselmo, Calif.); Melges 24 World Champions and 470 North American Champions Stu McNay (Providence, R.I.) and Dave Hughes (Miami, Fla.); J/22 World Champion Mike Marshall (Jamestown, R.I.); 505 World Champion Mike Martin (Mill Valley, Calif.); Olympic Bronze Medalist Caleb Paine (San Diego, Calif.). Nominees shortlisted for US Sailing’s 2016 Rolex Yachtswoman of the Year award: Etchells Biscayne Bay Series – Sidney Doren Memorial Regatta Champion Shannon Bush (Refugio, Texas); 470 South American Championship Silver Medalists Annie Haeger (East Troy, Wisc.) and Briana Provancha (San Diego, Calif.); IKA Formula Kite World Champion Daniella Moroz (Lafayette, Calif.); Laser Radial World Championship Silver Medalist Paige Railey (Clearwater, Fla.), Melges 32 World Champion and College Sailing’s Women’s Singlehanded National Champion Erika Reineke (Fort Lauderdale, Fla.); Melges 20 Winter Series Champion and Women’s International Match Racing Series Finals runner-up Stephanie Roble (East Troy, Wisc. ).